About — Rotating Precision Mechanisms, Inc. Established in 1975 as a privately-held small business, Rotating Precision Mechanisms, Inc. has since become regarded by commercial, government, military, and scientific communities as one of the world’s pre-eminent suppliers of high-precision antenna positioning systems and components for a vast array of antenna, optical and sensor systems. RPM’s expertise lies in providing complete, high quality, single or multi-axis positioning systems and controls, in a timely and cost-effective manner. Our products have been used around the globe for both civilian and military applications including Telemetry, Military Radar, Air Traffic Control, Satellite Communications, UAV Data Links, Test and Instrumentation, and Astronomy. RPM is an Original Equipment Manufacturer (OEM), whose broad range of Antenna Positioners include designs for every platform, including ground-fixed, mobile (vehicle-/trailer-mounted), man-transportable, shipboard, and airborne applications. Since inception, Rotating Precision Mechanisms, Inc. (RPM) has produced over 3,000 Antenna Positioners and has grown into a company that today averages approximately $20 million per year in sales. Our commitment to performance, quality, and customer service has allowed RPM to assemble a large database of faithful customers. RPM maintains a quality assurance program in compliance with AS9100 and is an approved vendor by DCMAO, the FAA, and many large prime contractors. RPM is incorporated as a Woman-Owned Small Business (WOSB) and maintains business practices and accounting methodology consistent with the requirements of FAR. Rotating Precision Mechanisms, Inc. was founded in 1975 by a team of engineers with an entrepreneurial spirit and a wealth of experience in designing high-precision antenna positioning systems and controls. Today, we are proud to continue in that tradition and have assembled a core staff of highly trained engineers with over 300 man-years of combined experience in the design of rugged, high-precision antenna positioning systems and the controls thereof. The background and experience of our engineering staff gives RPM, and our customers, an unparalleled advantage in understanding all aspects and requirements of any system's operational scenario and environment. This allows for a reduction in the time and expense normally spent on research and development for new or custom designs and ensures that all of our designs will not only meet or exceed the requirements of our customer's specifications but also meet or exceed the real-world requirements of the system. In addition to providing custom solutions for new customer requirements, RPM has a complete array of over 500 standard Commercial Off The Shelf (COTS) and Non-Developmental Items (NDI) for commercial, scientific, and military applications. Our modular approach to hardware often makes adapting these existing designs to new requirements possible. This reduces development time and cost while assuring high-quality pedestals by building on proven components. RPM engineers have access to the latest computer design tools including AutoCAD®, SolidWorks®, SolidWorks® Simulation, OrCAD®, Multisim®, Lab Windows® (Instrumentation), and SURFCAM® to develop, analyze, refine, manufacture, and test each design concept. These computer tools enable RPM to perform structure and vibration analysis of pedestal components and to predict pedestal performance with specific payload configurations. RPM has also developed many proprietary analytical routines for analysis of a system's performance. RPM maintains well-equipped facilities to allow for in-house fabrication and assembly of nearly every component that goes into our product. Each manufacturing department is independently housed in its own air-conditioned facility. This allows RPM to maintain control over our entire workflow and to react quickly to any required changes in production schedule in order to meet all of our customer's requirements. 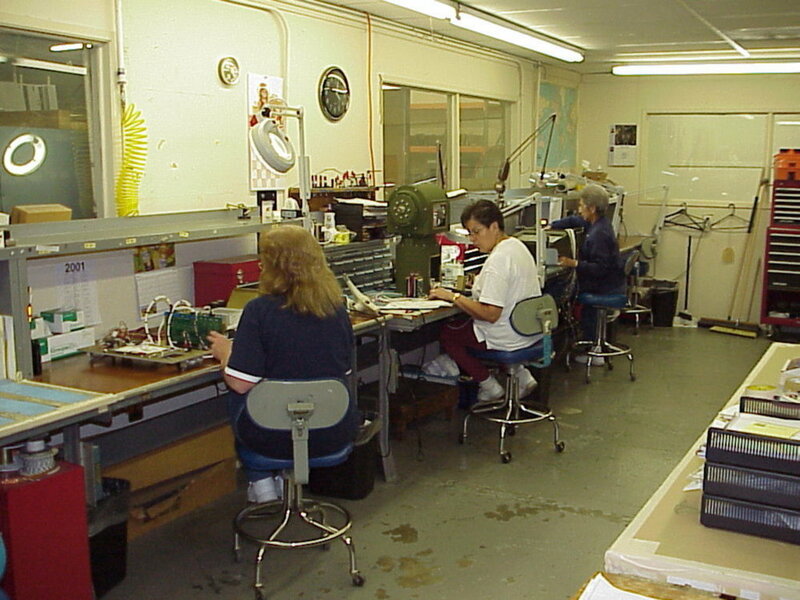 All of RPM's manufacturing departments employ skilled direct labor. The majority of our manufacturing personnel have been employed by RPM for longer than three years, and many for as long as twenty years or more. These employees are all highly-trained and fully-versed in our product. Our Machine Shop boasts six Haas CNC Vertical Machining Centers, two Mazak CNC Turning Centers, one Haas 4th-Axis Rotary Table, and a multitude of hand-operated machines. 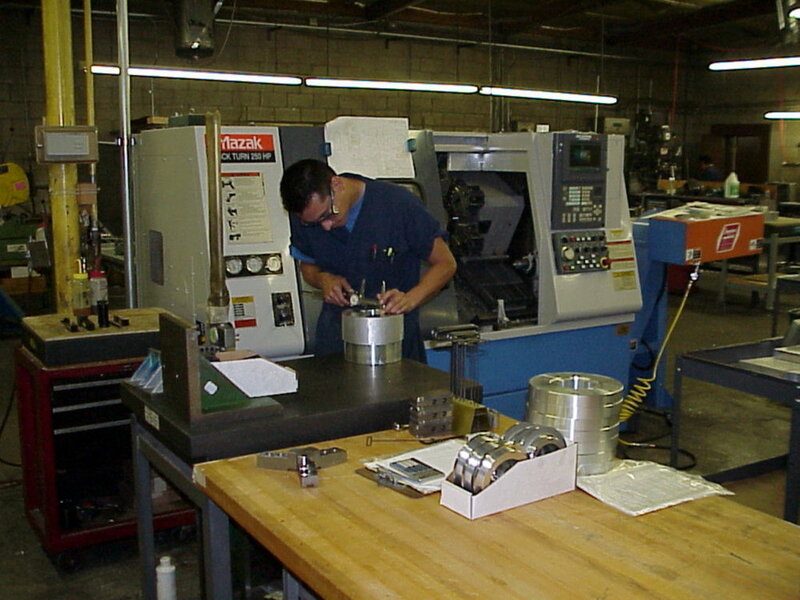 This equipment allows RPM to manufacture 95% of the custom-fabricated components that are used in our systems, including all high-precision parts. For specialized operations such as heat-treating, welding, gear-cutting, plating, and painting, RPM has developed a network of company-approved vendors that we can use to meet the fabrication needs of every design. Located directly adjacent to the machine shop, RPM's Quality Assurance Department performs detailed inspections on all manufactured and purchased items as required. This location enables Quality Assurance personnel to provide the Machine Shop with immediate feedback on any first article item they produce to ensure dimensional accuracy on all items. Among other tools, this department is equipped with one 7-Axis FARO© Platinum arm, one 6-Axis FARO© arm, and one FARO© gauge, which enables the user to simultaneously inspect all features of a part in three dimensions. RPM also maintains designated, enclosed areas for both our Mechanical and Electrical Assembly departments. These areas provide our assembly technicians with all of the tools and space required to build every RPM product. Currently RPM Electrical Assemblers and QA Department are qualified in the IPC-A-610, IPC/WHMA-A-620, and J-STD-001 standards. In addition, RPM, as a company, has completed ESD training with Electrical, Test, and QA, receiving IPC and ESDA certification as "ESD Safe Electrical Assemblers." Common components used in our manufacturing operations are maintained in a two-story stock room and other storage areas. RPM is housed in 50,000 square feet of modern, secure, totally air-conditioned buildings with several different areas available indoors for positioner testing. Smaller positioners are generally tested on appropriately-sized test pads, stands, or tripods while our bigger ones are typically bolted to large steel plates fixed to the floor. Positioners too large to test indoors can be tested outside in our 20,000-square-foot rear-fenced yard on either of our two 8-foot-square concrete and steel test pads. This location is also ideal for testing complete systems as it provides a direct line of sight to passing aircraft, satellites, and other potential objects of interest. RPM has developed a proprietary Laser Position Accuracy Test Set (RPM Model PA 1000) for optically testing the pointing accuracy and repeatability of our positioners. This is the most accurate way to test the position accuracy feedback of our products and may also be purchased by our customers for maintenance purposes once a system leaves the factory. For any complex testing, especially tests requiring velocity, acceleration, or position tracking profiles, computer simulation models are written, loaded on test computers, and used to simulate targets moving per the customer's design specifications for the system. Empirical data taken during these simulations can then be analyzed using RPM proprietary software and spreadsheets. If required, program-specific test equipment, including circuit cards and simulated payloads, can be built to enable RPM test engineers to evaluate all positioner and control functions, including simulation of customer equipment. 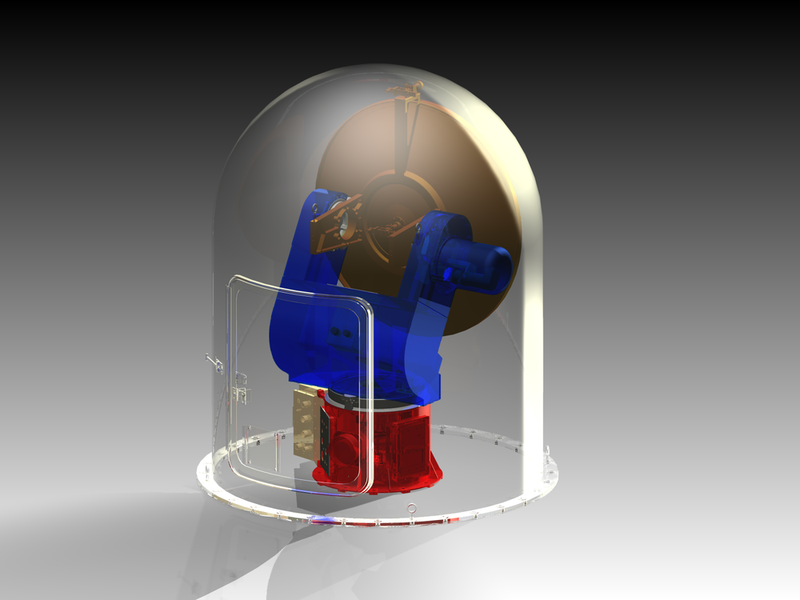 RPM also has a limited internal capability to perform RF and environmental testing. For those programs that require extensive environmental testing such as EMI, random vibration, shock, acceleration, salt fog, fungus, etc., RPM has developed a network of company-approved subcontractors that offer such testing capability. Here at RPM, we pride ourselves on being able to support repairs and upgrades to every unit we have ever shipped. In the past, we have even upgraded and/or refurbished Pedestals and Controllers that were originally delivered by our competitors! We are very thorough with our refurbishment process from start to finish. Once we receive the unit from our customer, we perform incoming inspection and testing on it to establish a performance baseline. Then we completely disassemble the unit and review the condition of all individual parts. After this detailed inspection, recommendations are made to the customer regarding any necessary modifications to upgrade or replace old or worn parts. We can even replace old electronic components with the newest technology available to avoid any future obsolescence issues. Once upgrades and repairs to all individual components are complete, we can re-plate and repaint all the pieces as required before reassembling the unit. Finally, we test the unit to affirm that it has been restored to "like new" condition before returning it to the customer. Are you interested in joining our team? Visit our Careers page for more details about the different roles that are played in our RPM family.